Magnet is a truly unique typeface with a very lively and natural flow. It is a striking, decorative display typeface, great for posters, exhibitions, book covers, websites and magazine headlines. Please contact us to purchase Magnet. Magnet fonts are available in OpenType Basic (no features) and OpenType Expert (features included). 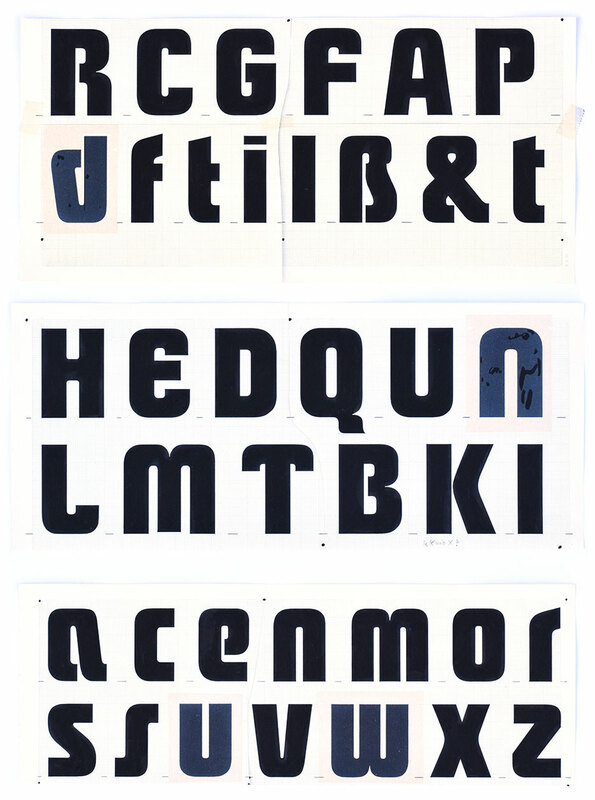 OpenType features provide advanced typographic performance and can be accessed by almost all professional layout software. Magnet Expert contains alternate Glyphs to avoid collisions with following characters. Magnet Expert contain alternate glyphs for j, g, s and t, accessible via the OpenType feature Stylistic Set 01 or Stylistic Alternates. The alternates are very useful in combination with certain characters. Correct typographical glyphs e.g. in Romanian (commaaccent replaces cedilla).